The temps have dipped to places I have never seen in the 16 years I have lived in Vermont. Last night 10 below 0. When it gets this cold, the only place I want to hang, other than our hot tub, is in the kitchen. I have 2 new cookbooks for inspiration. Tartine All Day & the book I have been falling asleep with since Christmas, called Breaking Bread by Martin Philip. Martin is the head baker at King Arthur flour in Northfield, Vermont. His story of how he got to his present position is one of a passion for not only good bread, but good food that feeds the soul & spirit too. Armed with both books, I spent my day baking. 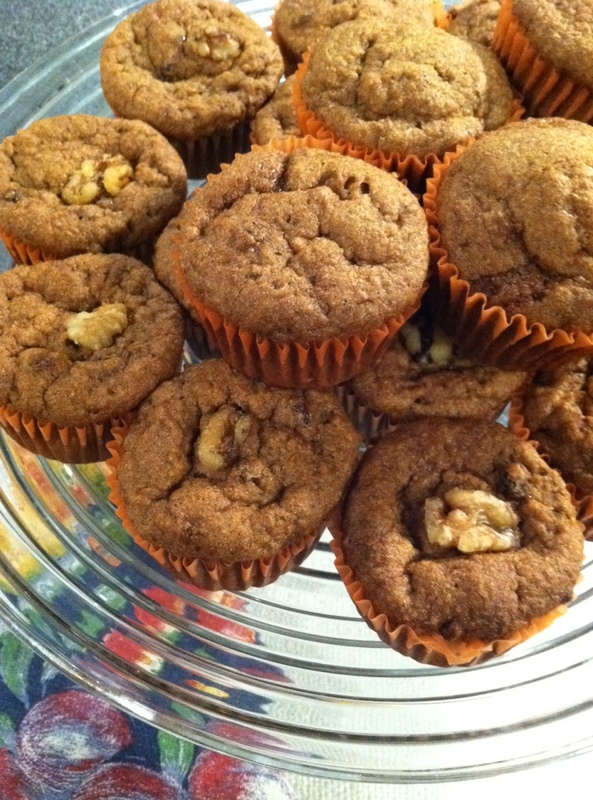 I made up a batch of grainy looking flax muffins with grated apples, in hopes that I would like this gluten free muffin. I did.More than ever, I find every weekend guests who are either gluten free or lactose free. This year my challenge is to find recipes that excel in taste & texture for my inn guests. 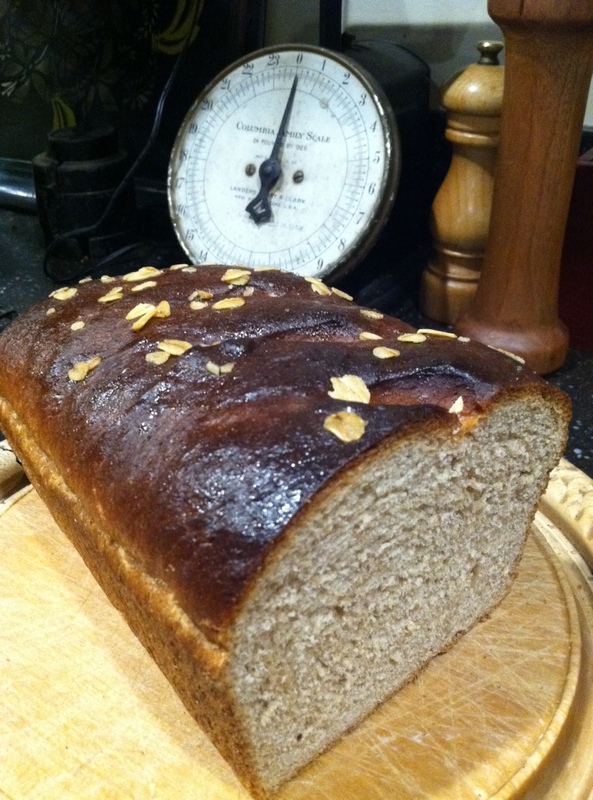 Next item was a maple oatmeal bread. It was an all day event with numerous proofings, but when those loaf pans emerged from the oven, brown & smelling of yeast & molasses, I knew my effort paid off. 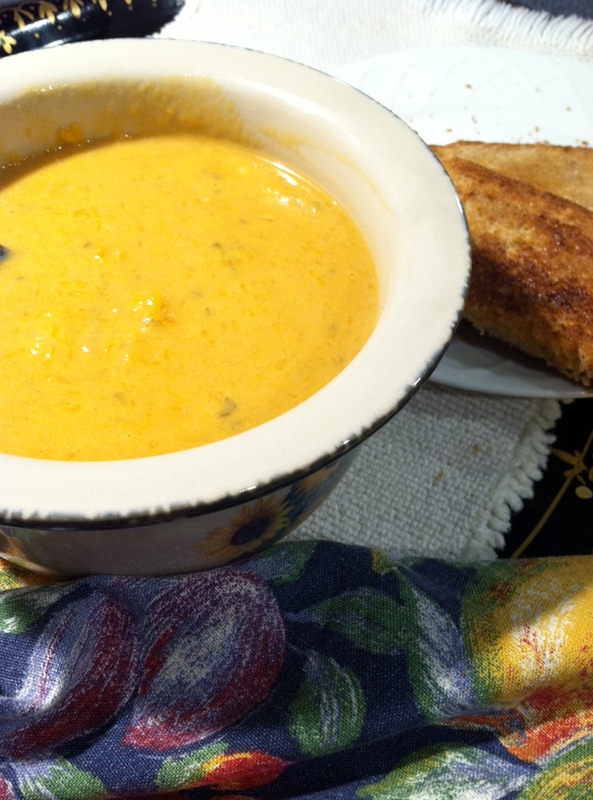 It was a great accompaniment to a bowl of butternut squash soup with cumin & coriander. Soup was my next effort. A rich satisfying puree of butternut squash, creamy peanut butter , aromatic spices, & coconut milk. And the best part, it came together in less than an hour. If you have fresh cilantro, top it off with a sprinkle of it and a squeeze of lime. Heat peanut oil in a large saucepan over medium high heat. Add squash & the next 5 ingredients to pan.saute 5 minutes until the onion is tender. Add broth, coconut milk, peanut butter, tomato paste & red pepper. Bring to a boil. Reduce heat and simmer 10 minutes until squash is tender. You may puree at this point or leave for a chunky texture. Top with cilantro. 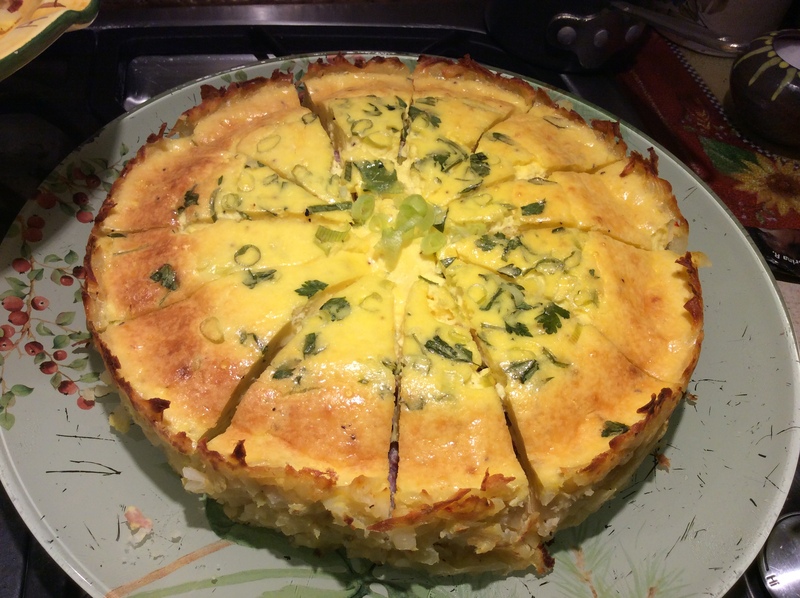 Always looking for new & exciting items to add to the inn breakfast menu, our chef Gerry suggested a quiche made with hash brown potato crust. This is a Martha Stewart adaptation. Not only did it look fabulous, it tasted wonderful & was light & with a crunchy bit of crust. 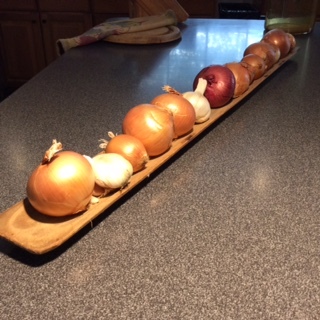 Gerry made 2 varieties . One vegetarian & the other with sauteed cubed ham. 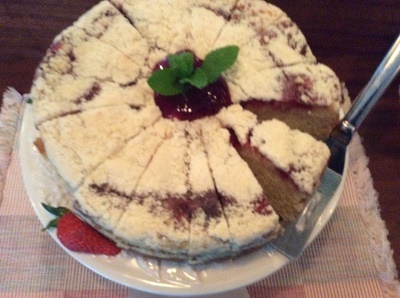 Our guests enjoyed it with a fresh fruit platter & a handsome strawberry cream cheese coffee cake. Brush a 9 inch x 2 1/2 spring form pan with butter. Line sides of pan with strips of waxed paper the same height as pan. Brush with butter. Squeeze moisture from potatoes Mix it in a bowl with butter, 1 egg, 1 tsp. alt & pepper. Pat it into the spring form pan & up the sides. Place on a baking sheet & bake 15~ 20 minutes until set. In a large bowl, whisk sour cream , goat cheese, salt & pepper until combined whisk in 11 remaining eggs.Add ham. Pour into crust & sprinkle with scallions. Bake 45 ~ 50 minutes. Let sit for 5 minutes before unmolding it from the pan. Peel off the wax paper before serving.